Since the waters encompassing Puerto Vallarta are so fruitful, it isn't difficult to make sense of why anglers from everywhere throughout the world has made this their most loved angling destination. 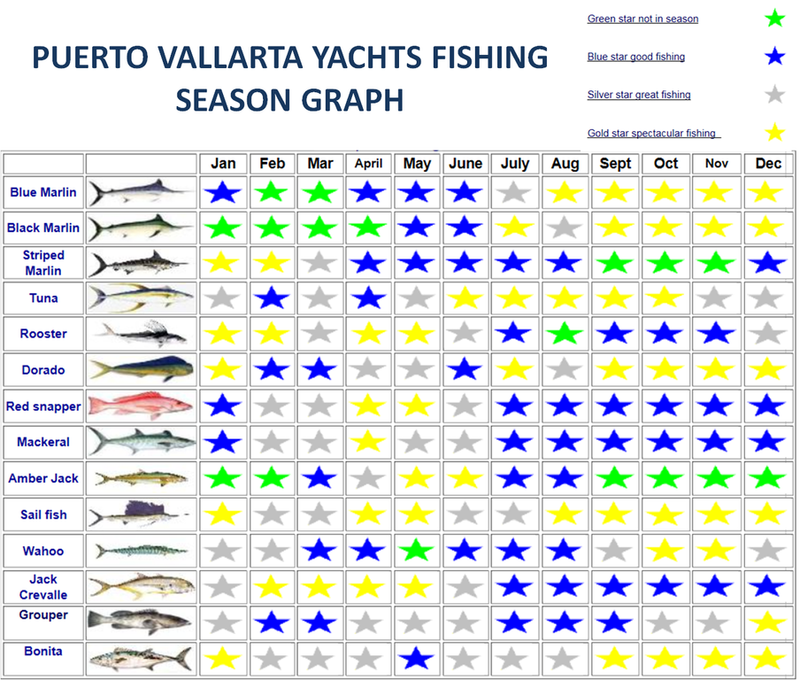 The waters of Puerto Vallarta are unmatched with regards to pursuing Blue, Black and Striped Marlin along with other various types of fish making theses densely populated waters a hot spot for true fisherman as well as novice fisherman who dare to try their luck at catching a monster fish. Let’s face it fishing fans. Where else can you go for 7 months out of the year and catch a Marlin. 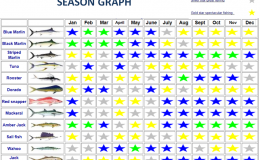 Even if Marlin were taken out of the fishing equation, take a look at the list of fish you will catch while your pole is in the water; Dorado (Dophin Fish or Mahi), Tuna, Snapper, Mackeral, Rooster, Amberjack, Sailfish, Wahoo, Bonita, Jack and Grouper can be caught throughout the year. It is undeniable that the success of every fisherman relies on the Captain and the Crew's experience, and this is true where ever you decide to charter. Our fishing team is hand-chosen in view of their level of experience and accomplishment with bringing home the trophies. Our bi-lingual valet is constantly present on the trek to guarantee you go home happy. Call or email and let us customize a memorable fishing experience just for you.